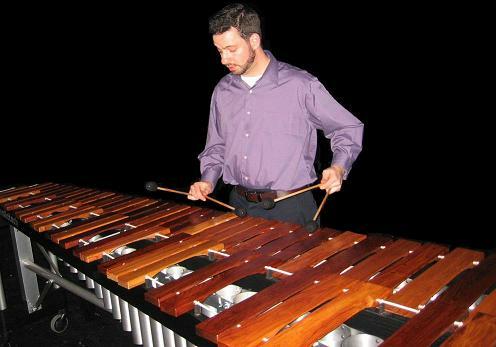 Many of my research interests stem directly from my experience with percussion as a performer, educator, and director of the McMaster University Percussion Ensemble, as well as my experience teaching percussion at Longwood University (Farmville, VA) and the Virginia Commonwealth University (Richmond, VA). During my time in Virginia, I was an active free-lance percussionist performing with several ensembles such as the Roanoke Symphony, Opera on the James, Oratorio Society of Virginia, and several others. 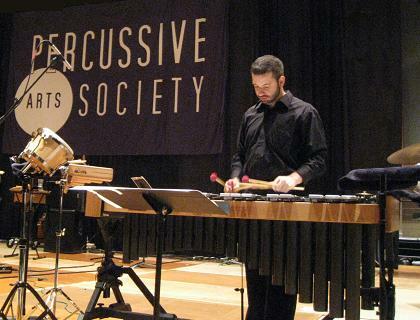 Additionally, I am active in the Percussive Arts Society, where I currently serve as Chair of the Music Technology Committee and have appeared four times at PASIC as a performer, lecturer, and presenter. I frequently draw on this background when contemplating research questions. Does a performers’ body movements change the way their music ‘sounds’? Can moving to the beat actually improve our listening ability? How do composers convey emotion in music? What is the most effective way to practice a new piece of music? Is there something special (perceptually!) about percussive sounds? Why do some performances sound great while other performances that are acoustically similar sound terrible?